GST is the most wide-ranging tax reorganization and targets to integrate India into one common market. 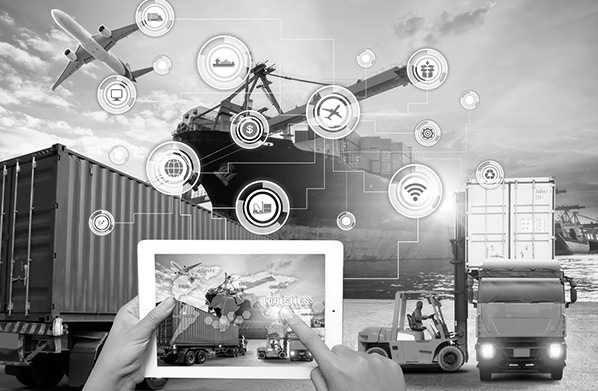 Gati’s specialized GST transformation team builds solutions to address regulations, place-of-supply rules, tax impact assessment, accounting and technology, input credit setoff, vendor rationalization and management. Gati will drive your GST roll-out and help unlock the much needed efficiencies in the post GST scenario. 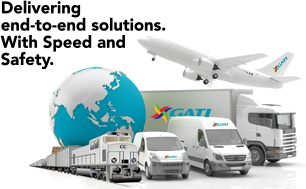 Gati’s robust services provides everything your supply chain needs ranging from the largest express distribution network. 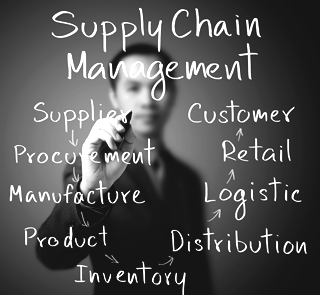 large format warehouses, international shipping, trading solutions, cold chain, fulfilment services to e-commerce. 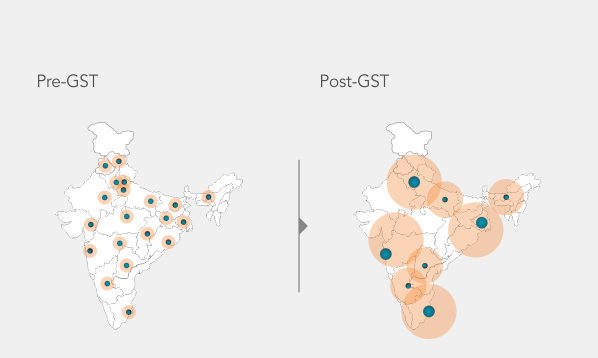 Gati is built on a hub and spoke model and in post-GST scenario, companies will be encouraged to follow this model, ensuring proximity to manufacturing locations or consumption centres resulting larger regional consolidation centers at key strategic locations. 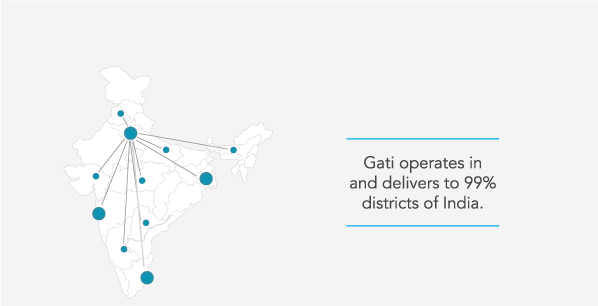 Gati with a pan-India network and warehousing space of 3.3 mn sq ft and increasing over 100 critical locations, is distinctively positioned to support the consequent physical network realignment. 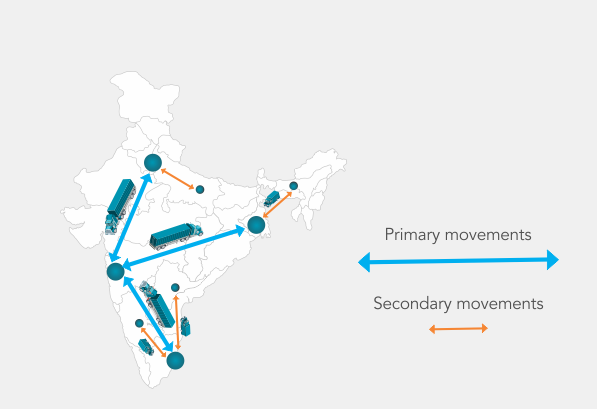 Gati has over 100 critical large format hubs across and 5000+ fleet size with high capacity trucks to enable direct movement to end locations with lower checkpoints and faster movement of goods. Gati with no minimum order and less than a truck service and large warehouses will cater to frequent need of deliveries to the spokes. 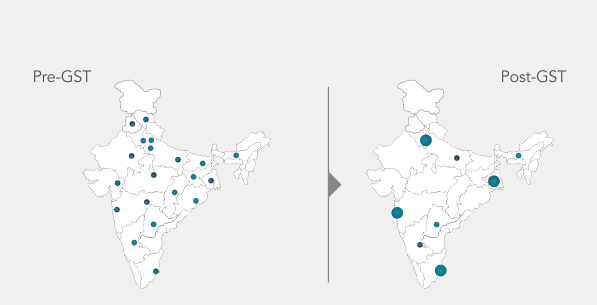 Centralization of warehouses will require improvement in service levels to areas outside the major metropolitan centres and Gati has exceptional reach to 99 % districts across India. Gati has trucks starting from 5 ft to 40 ft to cater to longer distances and higher cost optimization and capacity utilization. The current transportation fleet in the nation is dominated by less efficient nine and twelve tonne vehicles. At Gati technology is at the heart of everything. We ship 6 mn packets a months and each one is barcode enabled which ensures faster movement, end to end real time tracking, and quicker resolutions. All our operating units are monitored live which strictly ensures safety, quality, handling and procedures. All vehicles are tracked in real time to ensure best service with minimum halts. Our logistics focused custom build ERP system (GEMS) has seamlessly geared up for GST driven regulation change, tax impact assessment & accounting, input credit setoff among other dynamic changes.